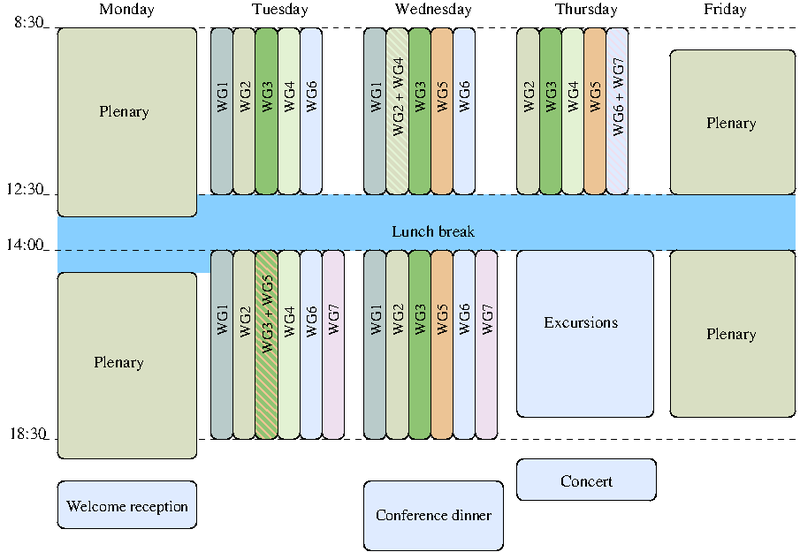 Workshop will include two days of plenary sessions (Monday and Friday) and three days of parallel talks in seven working groups (Tuesday to Thursday). 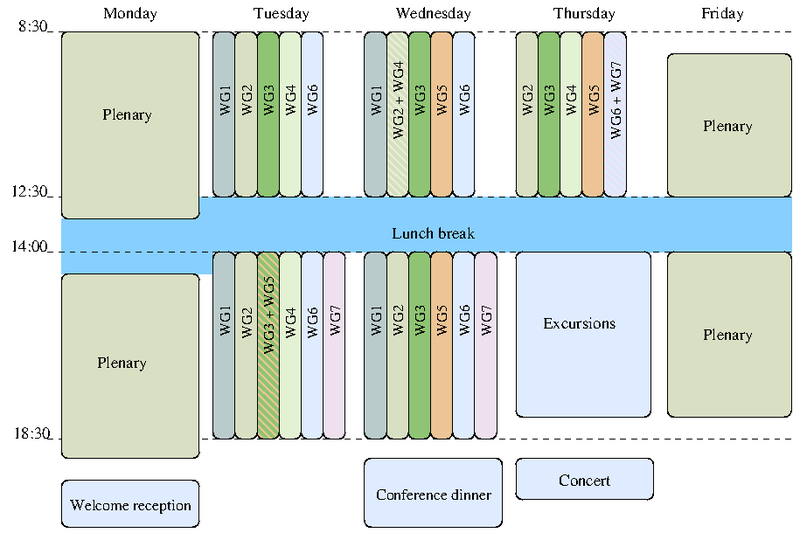 Detailed timetable is available in Indico. Accepted contributions will be scheduled soon. A popular session for schools, students and the wider community will be held on Sunday, April 27, afternoon, in the building of the Old Library, Central Campus of the University of Warsaw. For more details see open session page.